Hello everyone. In the whole killing two birds with one stone thing, and realising I am already behind with my reviews (despite my resolution to do better), here is a little round-up of books to chase away that January feeling of gloom. As you would expect, I had issues with one of them, but you may be intrigued nonetheless, and the rest were pretty damn fine indeed. McCoy’s boss doesn’t want him to investigate. The Dunlops seem untouchable. But McCoy has other ideas . . . Gritty, unflinching, perfectly non- politically correct, and with echoes of the grandmasters of black-hearted noir, Lewis, McIlvanney, Raymond, Bruen et al, this was an absolute corker. From the outset I was heartily entertained by the exploits of Detective Harry McCoy, with his nefarious relationships and more hands-on methods, and his wet-behind-the-ears sidekick, Wattie as we find ourselves firmly rooted in 1970’s Glasgow. The book is peppered with cultural and political references familiar to those of us born nearer that era- ahem- as well painting a grimly real backdrop for readers less familiar with the period. This is a city down on its uppers, with only occasional glimmers of the city that Glasgow was to become, and Parks’ colourful and inventive use of the Glaswegian vernacular brings a heightened level of enjoyment to the book too. The main storyline is very seedy indeed, involving as it does drugs, exploitation and abuse, which Parks determinedly lays before us warts and all. 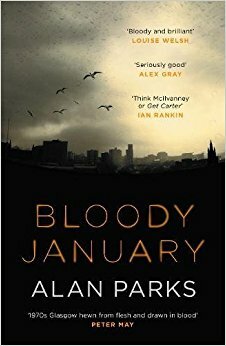 As I’ve said before I do like a book where I feel slightly soiled by the reading experience, in a similar vein to Benjamin Myers and Jake Arnott, and Bloody January fitted the bill perfectly. It was feisty, fresh, wonderfully sordid and a sublime blast of noir to welcome in the new year. Highly recommended. Dreading yet another a dreary winter weekend alone, she receives a call from the departmental chief which signals the strangest assignment of her career – to trail a Japanese monk wandering through the snowy wasteland to the east of Freiburg, dressed only in sandals and a cowl. She sets off reluctantly, and by the time she catches up with him, she discovers that he is injured, and fearfully fleeing some unknown evil. When her own team comes under fire, the investigation takes on a terrifying dimension, uncovering a hideous ring of child traffickers. The repercussions of their crimes will change the course of her own life. Now this one perplexed me, as for the first half of the book I was submerged in the existential peace of tranquillity that gradually evolves into a more straightforward thriller. I loved the concept of this calm, ethereal figure of the monk, traversing the terrain of the Black Forest, pursued by this, as it turns out, very emotionally unstable female detective. I felt a bit like like Manny in Black Books where he swallows The Little Book of Calm as reading this induced a kind of contented relaxation in me, as Bonetti brings the natural serenity of monk, woman and forest into alignment. Boni began to irritate me with her constant self obsessed, self pitying keening, and to be honest, my interest was waning from this point. I found the child trafficking plotline slightly repetitive and circular, and I fair scampered to the end of the book just to see how things would pan out. Did feel a huge sense of disappointment in not enjoying this one more, as regular readers know my universal love for translated crime fiction, but alas not this time. When a mysterious DVD is delivered to Northumbria Police Headquarters, DS Matthew Ryan and Detective Superintendent Eloise O’Neil are among the few to view its disturbing content. With little to go on the only lead comes from the anonymous and chilling woman’s voice narrating the blood-soaked lock-up depicted on screen. But with no victim visible, nor any indication of where the unidentifiable crime scene is located, Ryan and O’Neil get the distinct feeling someone is playing with them. What is certain is that the newly formed special unit has just taken on its first challenging case. As further shocking videos start arriving at police stations around the country, the body count rises. But what connects all the victims? And why are they being targeted? As the investigation deepens, the team is brought to breaking point as secrets from the past threaten to derail their pursuit of a merciless killer . . I know I baulk every time I read the strapline, that so and so author is ‘at the height of their powers’ but, I think in Mari Hannah’s case this is absolutely fair. Not only the author of the brilliant DI Kate Daniels series, but onto a winner with this, the follow up to The Silent Room which first introduced us to Ryan and O’Neill. Obviously you will discover for yourselves the extremely well crafted storyline, and the highly original compunction the killers have for committing the crimes they do (as usual no spoilers here), but I just wanted to highlight something else. The thing above all else that I admire about Hannah’s books is her way of really fleshing out, and roundly depicting her characters, their fears, their flaws, their missteps in communication, but also their moments of empathy, comradeship and loyalty. Every character in this book works seamlessly with the others, with fluctuating levels of trust, professionalism and friendship. Although there was a significant gap between The Silent Room and this one, I was instantly back in the groove with O’Neill and Ryan, and the brilliant Grace and Newman, who make up their merry band, as if there were just friends that I hadn’t bumped into for a while, but instantly recalling when I had last seen them, and what they’d been up to! Obviously, with my affection for the North East, I was once again, transported effortlessly to my old stomping ground of Newcastle, and the sublime, rugged beauty of Northumberland and beyond. Cracking story, equally cracking characters, and plenty of thrills, tension and heartache along the way. Sixty-two days after the disappearance . . .
A man is arrested in the small town of Avechot. His shirt is covered in blood. Could this have anything to do with a missing girl called Anna Lou? What really happened to the girl? Detective Vogel will do anything to solve the mystery surrounding Anna Lou’s disappearance. 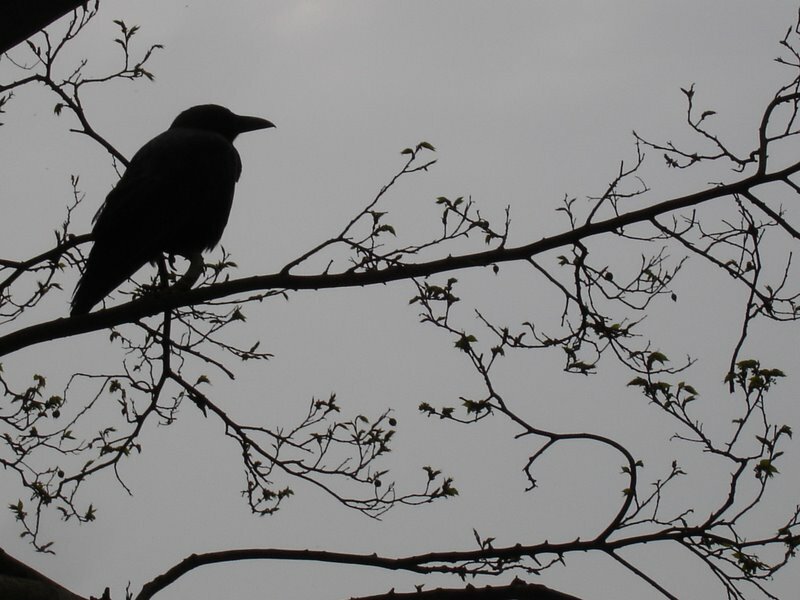 When a media storm hits the quiet town, Vogel is sure that the suspect will be flushed out. Yet the clues are confusing, perhaps false, and following them may be a far cry from discovering the truth at the heart of a dark town. I must confess I did read this one a little while ago, so I may be a bit shady on the detail, but my lasting impression of this one is that I enjoyed it! 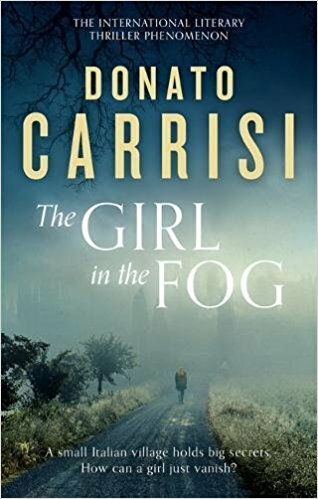 Referencing my previous point about translated crime fiction, I think that Italian author Donato Carrisi consistently produces extremely atmospheric and gripping psychological thrillers and The Girl In The Fog continued this tradition. Flipping backwards and forwards in time, tracing the disappearance of the eponymous girl in the fog, Carrisi presents a flawed but fascinating character in the sharply dressed and obviously psychologically haunted figure of Special Agent Vogel. I was particularly enamoured with his one to one conversations with the seemingly affable psychologist, Flores, and the little tricks and twists in the interaction between the two men as the story is teased out. As usual, Carrisi perfectly employs the more sinister aspects of the landscape to colour the tale further, and what ensues is a claustrophobic and tense tale of the darkness of the human psyche. Recommended. A deadly secret lies buried beneath the building. And when it is revealed, there will be murder. 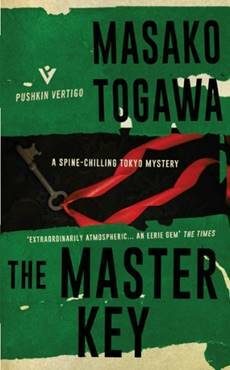 Another bijou delight from Pushkin, in the shape of Japanese thriller The Master Key from the late, multi-talented author Makamo Togawa. Revolving around the female inhabitants of the K Apartments, Togawa weaves a spellbinding tale of jealousy, covetousness and chicanery that I can only compare to the brilliant Patricia Highsmith. As we become involved with the everyday lives of this disparate group of single women, and the secrets they conceal, Togawa has not only constructed a compelling thriller, but also has much to say on the nature of the womens’ experiences in Japanese patriarchal society, and how they are compartmentalised and suppressed by the community they inhabit. By turns shocking and moving, but consistently engaging, I will definitely be seeking out more works by this author. An eye opening read. At the end of the war, Afra Zauner returns to her parents’ cottage on the edge of Mauther Forest. Unmarried, and pregnant. As she struggles to raise her child, her father’s shame, her mother’s fury and the loud whispers of the neighbours begin to weigh upon her. She doesn’t believe in her sin. But everyone else does. And someone brings judgement down upon her. Many years later, Hermann Müller is throwing a drunk out of his tavern. A traveller, who won’t stop ranting about a murder left unsolved, about police who never investigated. Out of curiosity, the file is reopened. And in the cold light of hindsight, a chilling realisation creeps upon the community. No-one ever atoned for Afra’s death. But her story is waiting to be told. I will rush quickly to the defence of the book for the sheer haunting beauty of its prose, which completely consumes you in its spare but absolutely precise style (enhanced even more by the wonderful translation by Anthea Bell). Andrea Maria Schenkel provides a cool touch to the overall emotion of the piece, but the emotions that are initially so relentlessly suppressed, burn brighter because of it. The tone of the piece is relatively unemotional, and at times the reader is hard pushed to empathise with Afra, but the way her murder and its aftermath are presented, the essential human themes of loss and mourning and the search for redemption come to the fore. With the reminiscences of those involved on the periphery of the original murder, Schenkel dispenses with the notion of a traditional and linear detective novel, with no detective to drive the story onwards. 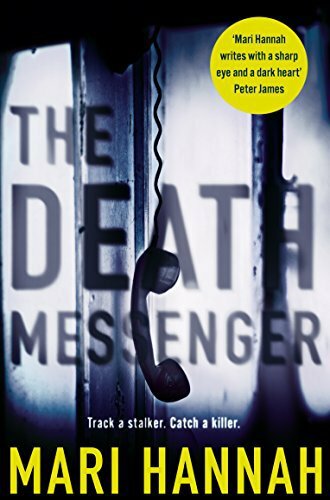 It is an interesting conceit, and one that I think works, as the book’s intention is to place us as readers at a closer proximity to the murder victim and the killer. Likewise, the issues that are brought to bear in the depiction of this small family unit, undone by murder, are carefully balanced as Schenkel incorporates some powerful themes, in what is ostensibly a relatively simple tale. There is a meditation on elderly mental degeneration, emotively described through the growing confusion of Afra’s father- who becomes the chief suspect in his daughter’s murder. Afra herself, is a single mother, and her son, the product of a dalliance with a foreigner, giving rise to the additional stigma of illegitimacy. Taken individually, any of these issues would give weight to whatever work of fiction they are incorporated in, but to meld these together within such a bijou novella, compounded by such full and round realisations of the central characters, is a sign of markedly clever and skilful writing. A slim read, yes, but containing more than some books can conjure up in 300 pages or more. On a September evening eleven years ago, two 17-year-old girls vanished without a trace from the tiny village of Altenhain, just outside Frankfurt. 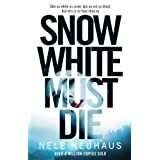 In a trial based on circumstantial evidence 20-year-old Tobias Sartorius was convicted and imprisoned for the murder of his childhood friend Laura and his beautiful girlfriend Stefanie – otherwise known as Snow White. After serving his sentence, Tobias returns home. His presence in the little German village stirs up the events of the past. Events that the locals would prefer to remain hidden. When the Sartorius family is subjected to a number of attacks, Detective Inspector Pia Kirchhoff and DS Oliver von Bodenstein are tasked with monitoring the tense atmosphere in the tight-knit community. As the village inhabitants close ranks it becomes apparent the disappearance of Snow White and her friend was far more complex than imagined. Then history starts to repeat itself in a disastrous manner when another pretty girl goes missing. The police are thrown into a race against time. Can they solve the mystery before it’s too late? I was totally gripped by this tale from the outset and despite running to nearly 500 pages, Neuhaus completely controls the unfolding of events with every twist and turn beautifully placed within the central narrative. In this way, there is very much a feeling that the reader can play along, as your suspicions consistently pivot between the major and minor characters, but Neuhaus cleverly keeps us on the back foot with a series of reveals that are neither contrived nor annoyingly coincidental. 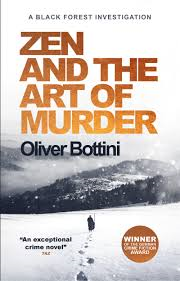 To keep up this level of interest for the reader over the course of this not insubstantial crime novel is no mean feat and adroitly handled, largely due to not only exceptional plotting but also the control of a large and intriguing cast of characters. The characterisation is superb throughout, and with shades of Twin Peaks this small community gives rise to an eclectic selection of characters, perfectly capturing the mealy mouthed and gossiping neighbours of Sartorious and his father, and those in the village that have something to hide. Neuhaus not only depicts the long-standing connections between those born and raised within the village who have never ventured from its confines, but also cleverly uses the character of a Goth teenager, Amelie Frohlich, an outsider who forms a bond with not only Tobias but also Thies Terlinden, the autistic son of the most powerful man within this community. The relationship between these, in their own way, three outsiders from the community forms a strong dynamic within the novel, and highlights their essential difference in moral character to their fellow residents in the village, as each becomes embroiled in a long standing conspiracy to protect the guilty. Equally, the police protagonists Pia Kirchhoff and Oliver von Bodenstein, add texture to the plot, not only through their professional interactions with the villagers, but in the portrayal of their own private lives. This is particularly effective with von Bodenstein, as problems within his marriage have a more than noticeable effect on his ability to remain focused on the investigation. The integration of the officers’ private lives sits very naturally within the whole story and adds another rich seam of interest to the reader that is neither hackneyed or intrusive and I would certainly be keen to read other titles by Neuhaus featuring these police characters.